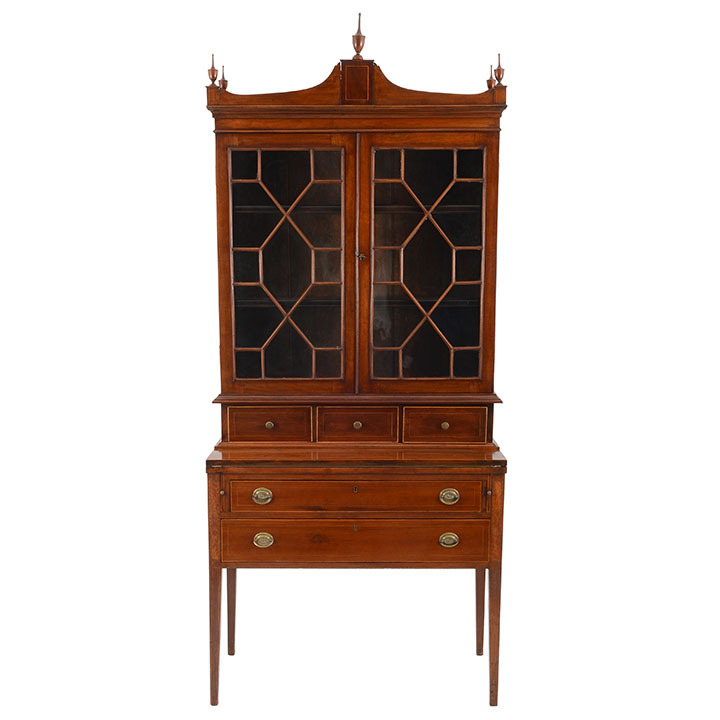 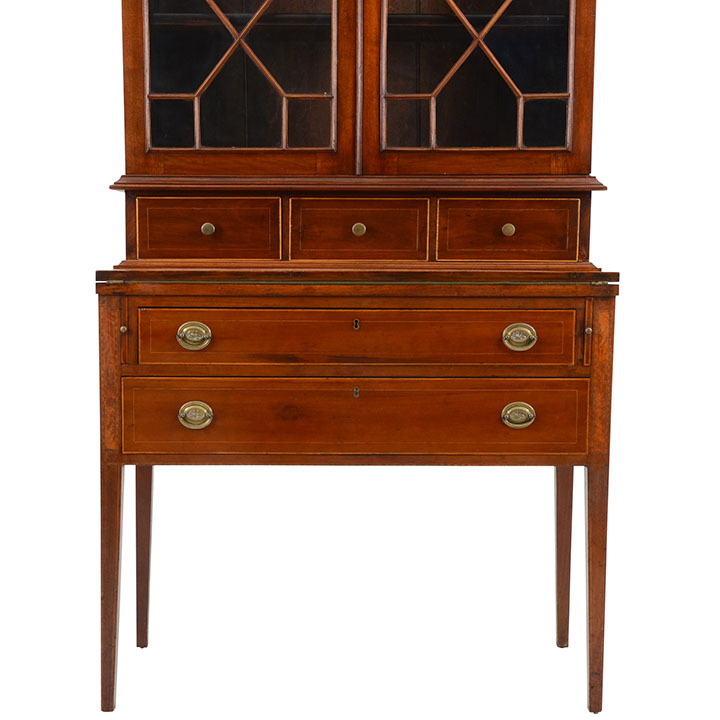 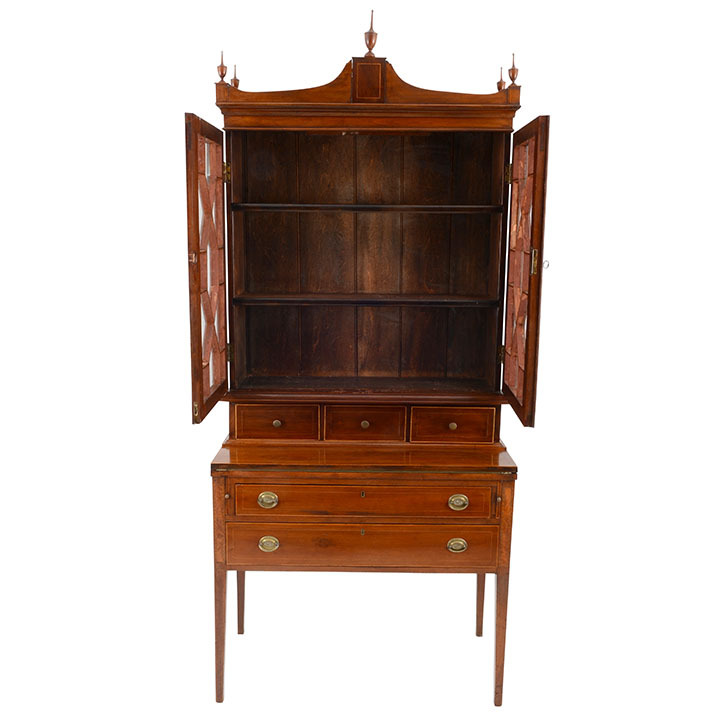 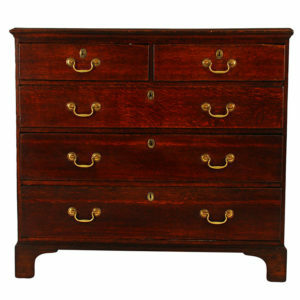 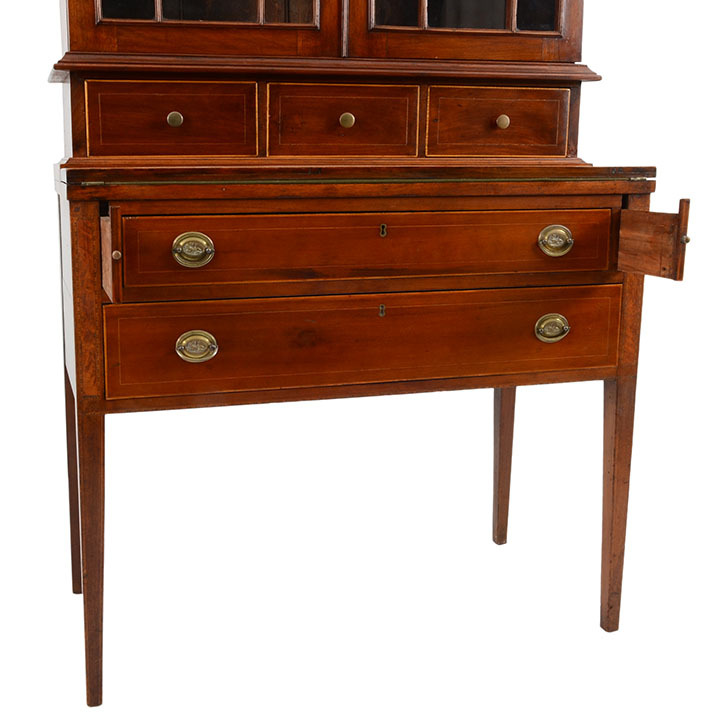 Antique American secretary and bookcase in mahogany, circa 1800. 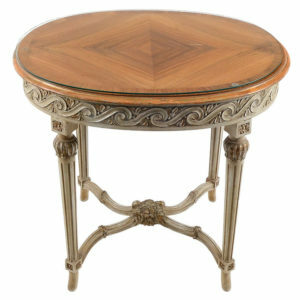 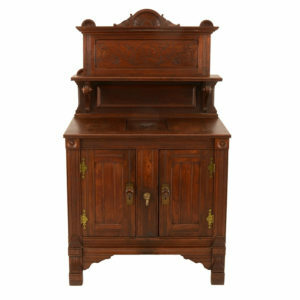 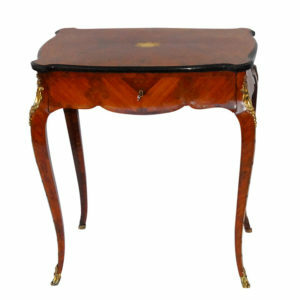 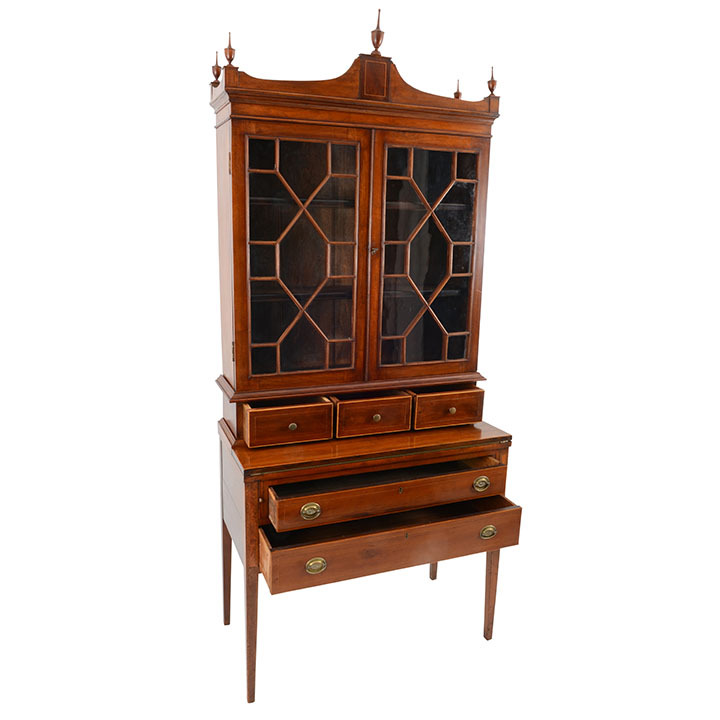 This antique secretary is in the Sheraton style with banded detailing, lion theme hardware and original glass. 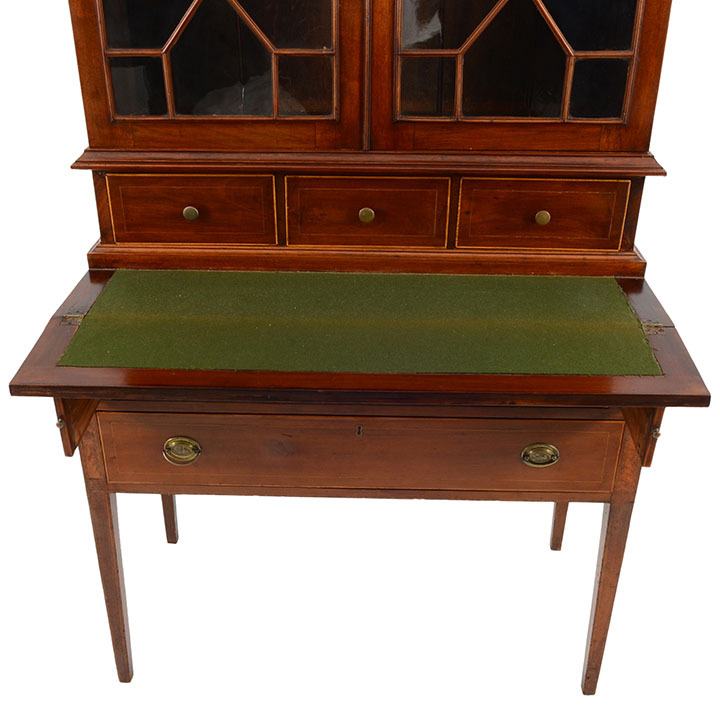 One glass pane has been replaced on this Sheraton secretary.